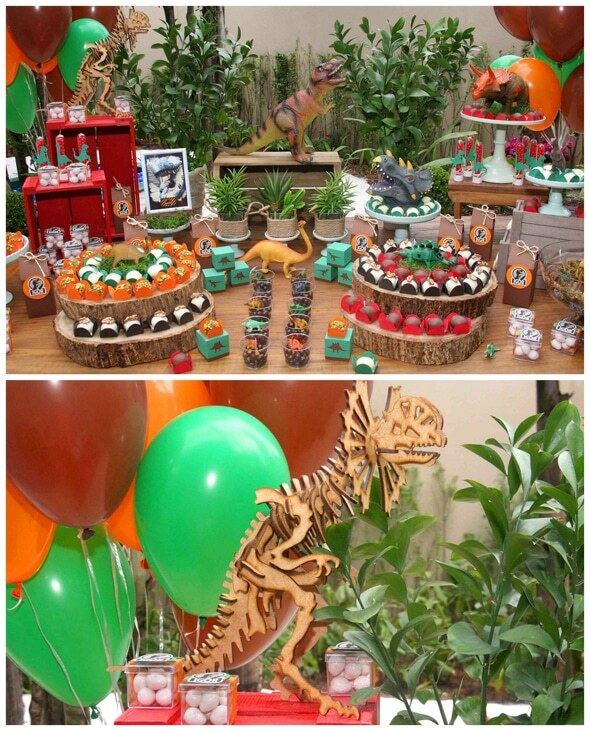 This amazing Jurassic Park Themed Party was styled by Projeto Festeiro for 100 guests in Sao Paulo. 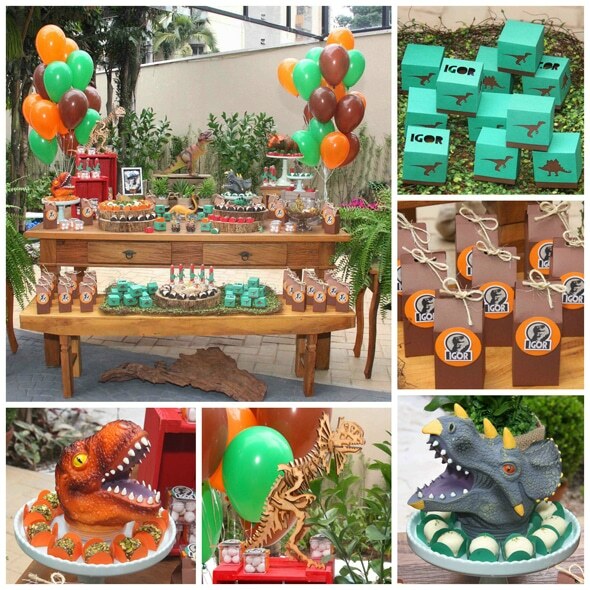 The occasion for such a grand event – a special 6-year-old boy’s birthday! 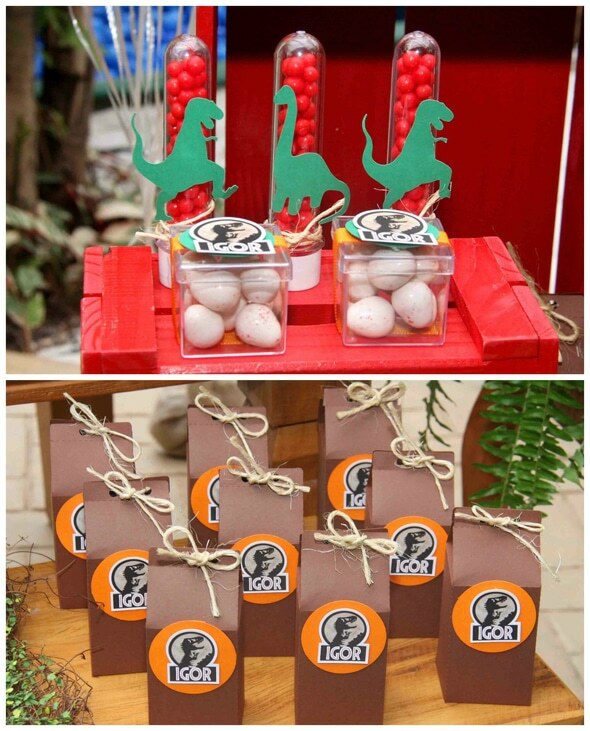 This custom colorful celebration was a hit among guests and the birthday boy, of course! 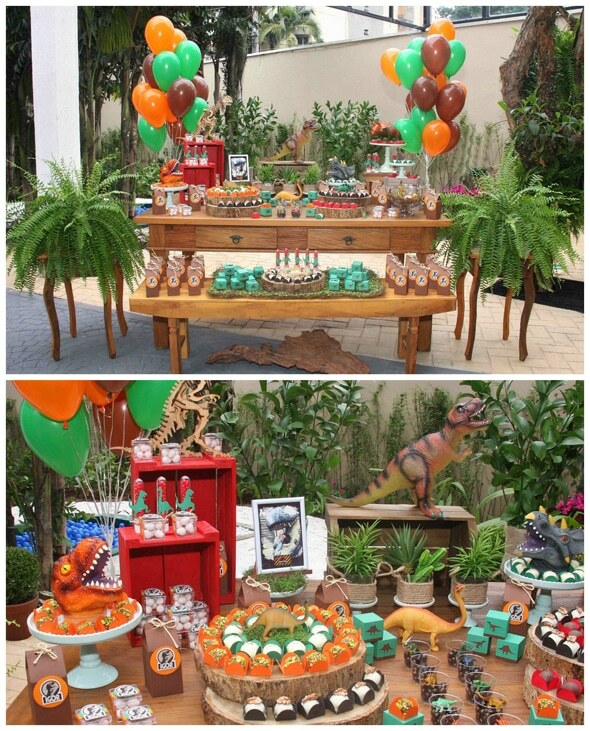 The design was centered around four colors: green, orange, red and brown – combined with wood and other rustic materials to bring the nature element to the celebration. 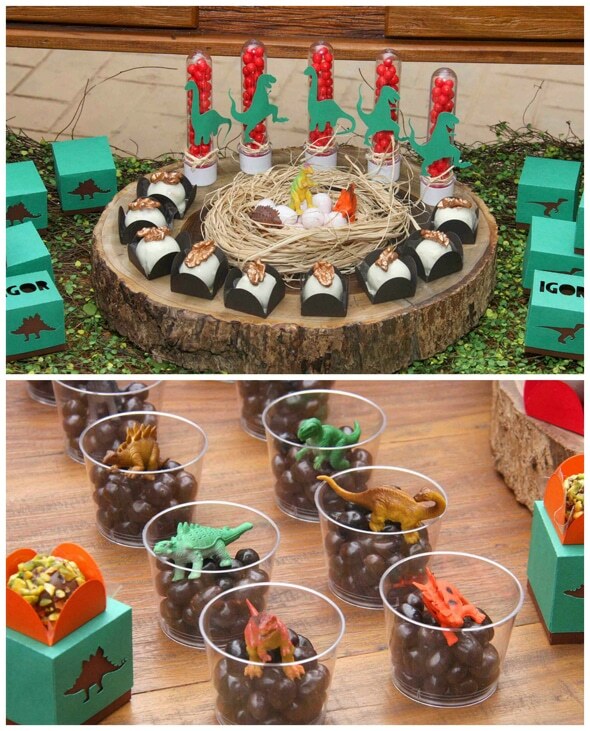 Dinosaurs were brought to life by placing them in containers with pieces of wood and plants. 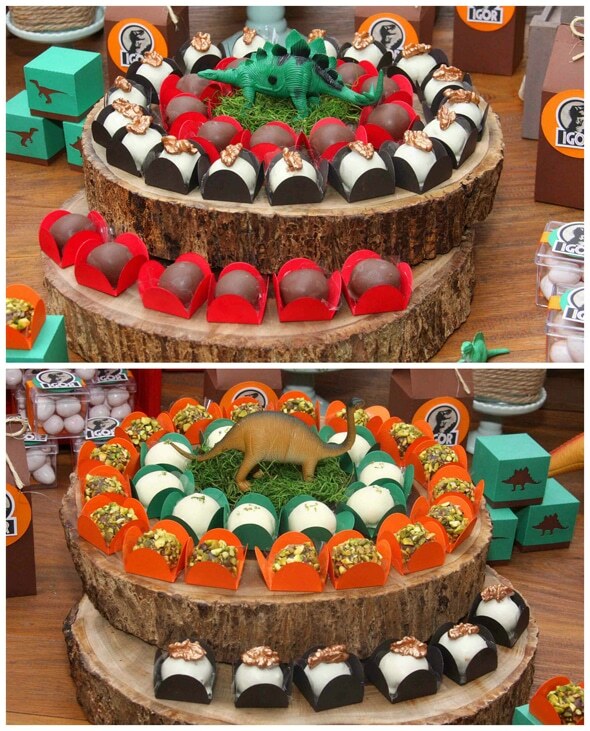 There was also mini nests with dinosaur eggs. FUN! 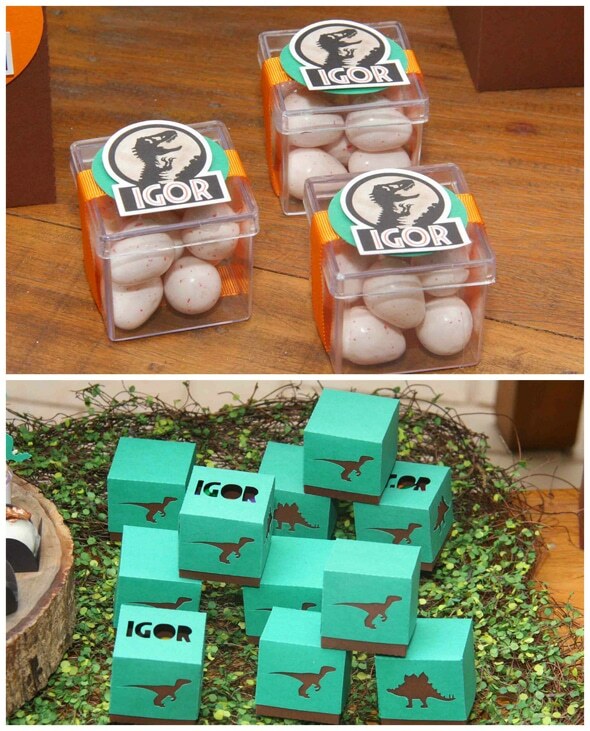 There was a great variety of sweets for guests to enjoy. 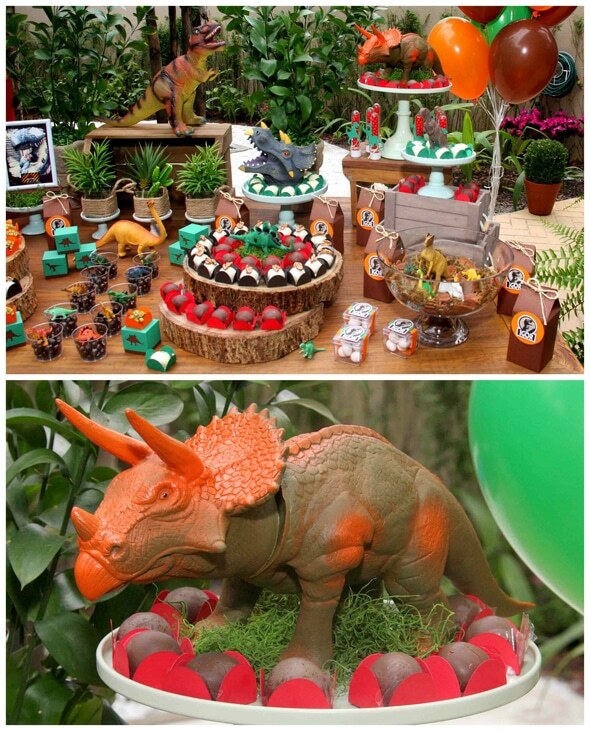 Everyone had a great time at this Jurassic Park Themed Party! 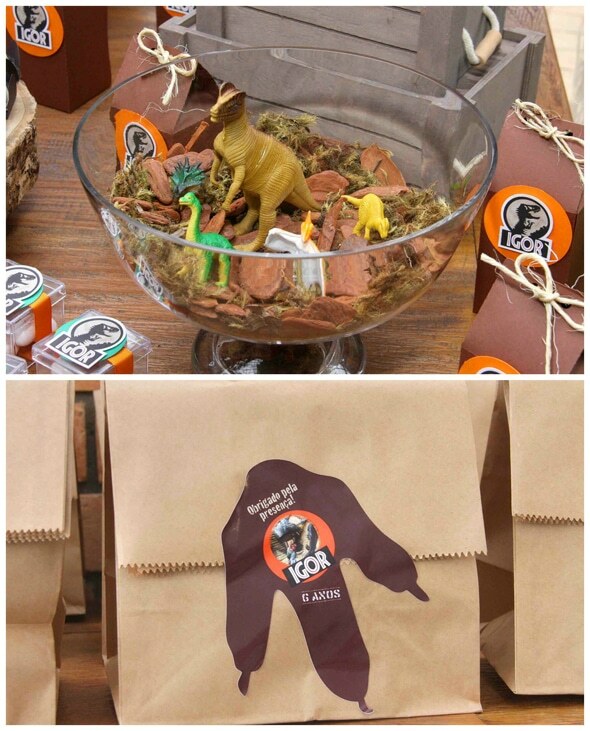 Plan a fun Dinosaur/Jurassic Park Themed Party with these products! 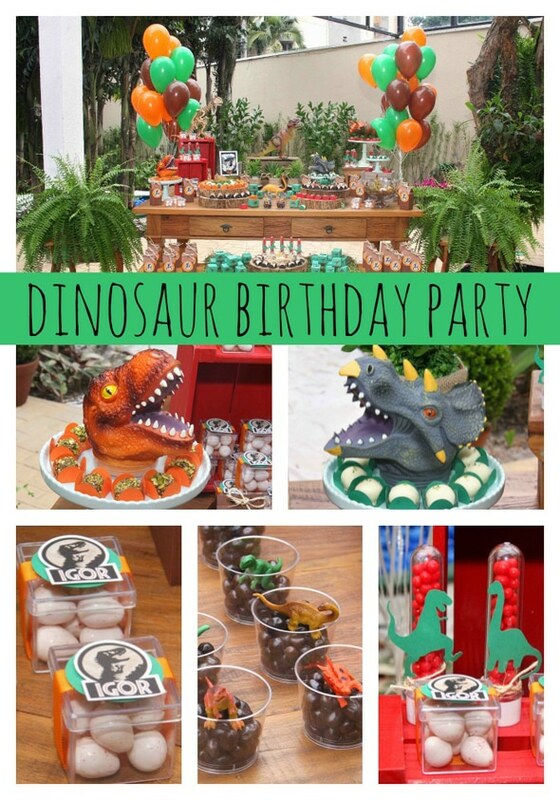 Check out these other dinosaur party features on Pretty My Party! What’s your favorite detail in this party? Let us know in the comments below! 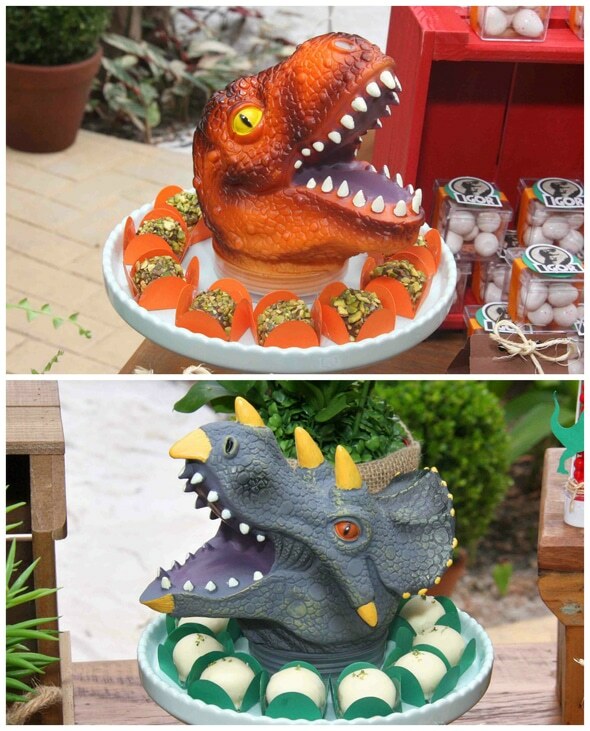 Where did you find the two large dinosaur heads on the cake dishes? 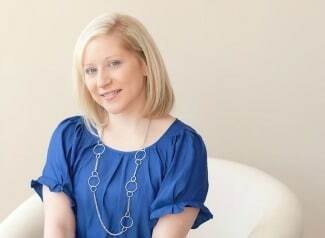 Hi Courtney, Try contacting the party planner. The vendors are listed below the party feature.